Your campaign message will sit "write" with recipients of the Zuri pen! Featuring an appealing, colored translucent barrel with a solid grip and trim, this plunger-action, retractable ballpoint pen has black ink with a medium point. 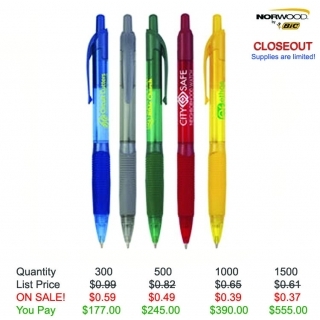 Measuring 5 3/5" L x 3/5" D, this giveaway is great for promoting your brand everywhere clients and prospects go. 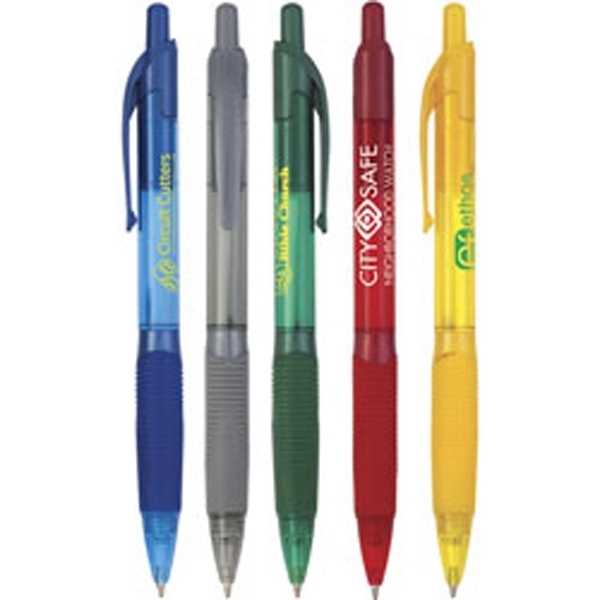 Perfect for any event, have your logo or message imprinted when you order now! Item Size: 5-3/5"l x 3/5"dia. Shipping Weight: 11 lbs. per 500 - FREE Shipping! Additional Information: This product is being closed out. Supplies are limited.